Donald Trump should use a Huawei phone or no mobile at all if the US is worried Chinese spies are eavesdropping the US president’s iPhone calls, Chinese officials have said. China’s foreign ministry has mocked claims in a New York Times report over US intelligence reports that Chinese spies are listening to calls that Trump makes from one of several unsecured iPhones he’s said to use. White House officials are reportedly concerned about Trump’s casual use of consumer tech devices could be exploited by other countries’ spy agencies. Chinese officials have now offered up their own take on the report. “If they are really very worried about Apple phones being bugged, then they can change to using Huawei,” a Chinese foreign ministry spokeswoman said, according to Reuters. The report comes amid a US-China trade war that could impact Apple, a recent ban on the use of Huawei phones by US government employees, and Australian blocks on Huawei’s 5G network equipment, which broadened an existing ban on equipment for the NBN. Trump said in a tweet shortly after the article was published that it was “long and boring” and “soooo wrong” . 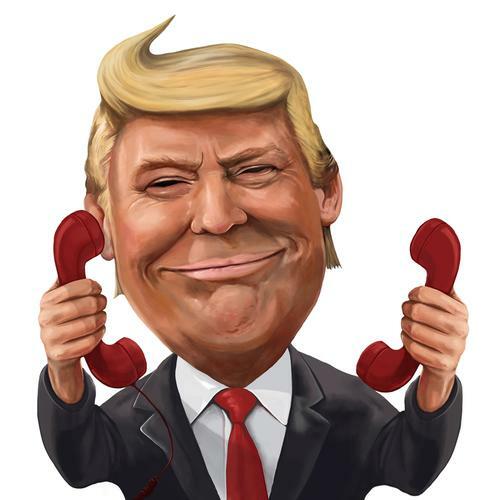 “I only use Government Phones, and have only one seldom used government cell phone,” wrote Trump. He later added that a subsequent story by the Times was “Fake News”. China’s foreign ministry agreed with Trump’s assessment about the story, also describing it as “fake news”, according to South China Morning Post. “Seeing this report, I feel there are those in America who are working all-out to win the Oscar for best screenplay,” a ministry spokeswoman said.